Needed consistent cellular coverage for staff members throughout areas of an older hospital building. Cel-Fi eliminated the coverage gaps and enabled uninterrupted communications. VCU Health Community Memorial Hospital (CMH) based in South Hill, Virginia is a community owned hospital servicing the south-central region of Virginia and portions of North Carolina. The hospital distributes 150 cell phones to doctors, staff, and executives to enable critical communications. A total of nine Cel-Fi PRO systems were installed in areas ranging from engineering and radiation to emergency and ICU over a span of three months. Now Williams only has to do an occasional trace signal check to ensure they are working as they should. “We have had no issues since they’ve been installed. 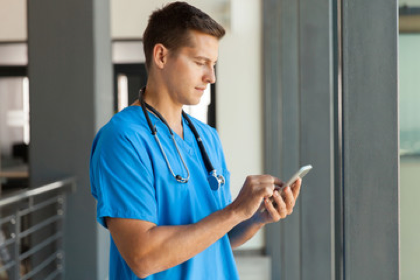 And if the provider loses a signal in the area, rebooting takes no time at all.” The Cel-Fi WAVE app also makes it easy for Williams to monitor and manage Cel-Fi PRO systems deployed across the hospital.